We’ve got another five Kickstarters for you to check out this week, and they all look really good. 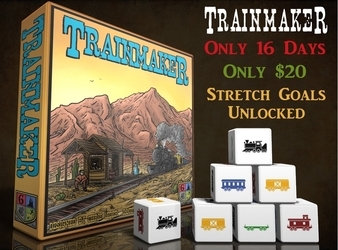 First up is Trainmaker, an Old West dice rolling game. 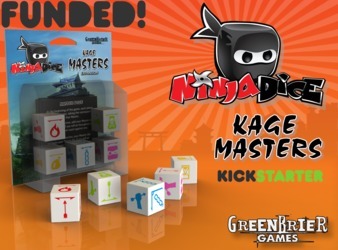 Following that, we have Ninja Dice: Kage Masters, an expansion to Ninja Dice (which I own and enjoy). 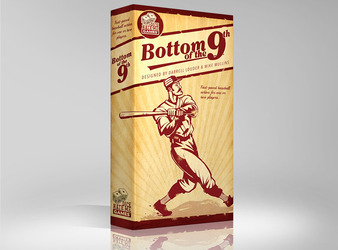 Third is a card game for baseball fans called Bottom of the Ninth that doesn’t take all night to play. 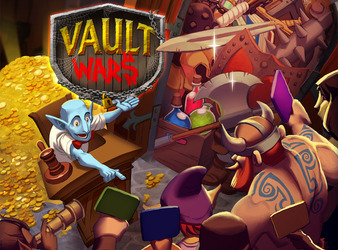 Next, Vault Wars, a game we previewed here a few weeks ago. 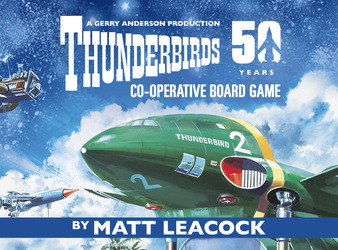 And finally, Thunderbirds, a game based off the old TV Show of the same name. You can hear more about that one in our interview with game designer Matt Leacock. An Old West game of rolling dice, building trains, collecting stations, and using special abilities to create your railroad! This is a new expansion that adds playable characters and special abilities to Ninja Dice; a push-your-luck dice game. We have a dice & card game for up to 2 players that boils the excitement of baseball’s final inning into a quick head-to-head competition! When Heroes are slain, their treasure-filled vaults go up for auction. You must outbid other aspiring Heroes to get the gear you need!